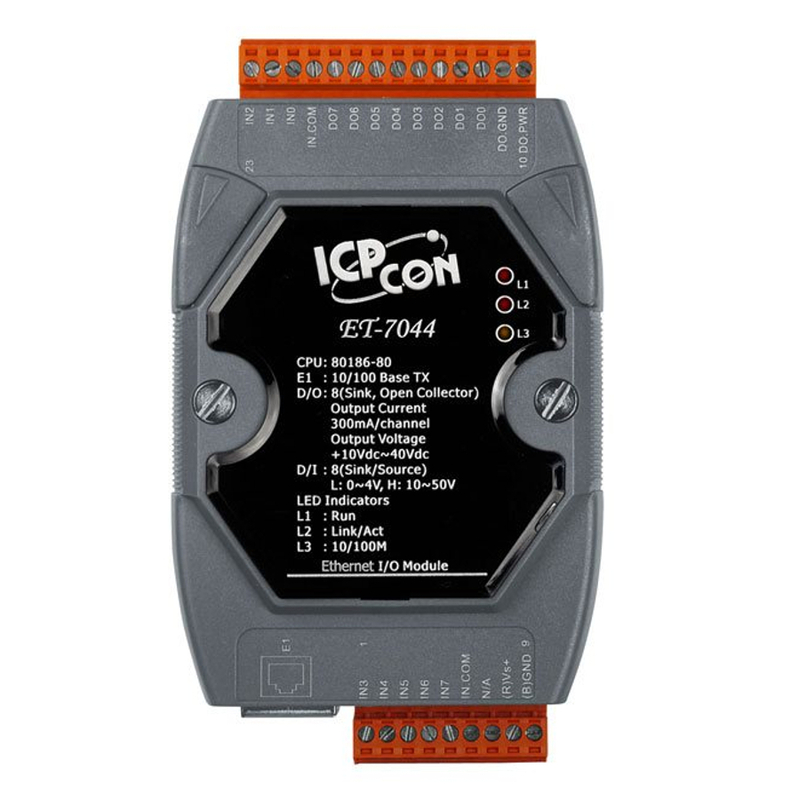 The module ET-7044 CR provides 8 wet contact digital inputs and 8 sink-type digital outputs. It features optical isolation for 3750 Vrms of transient overvoltage protection but doesn’t provide channel-to-channel isolation. 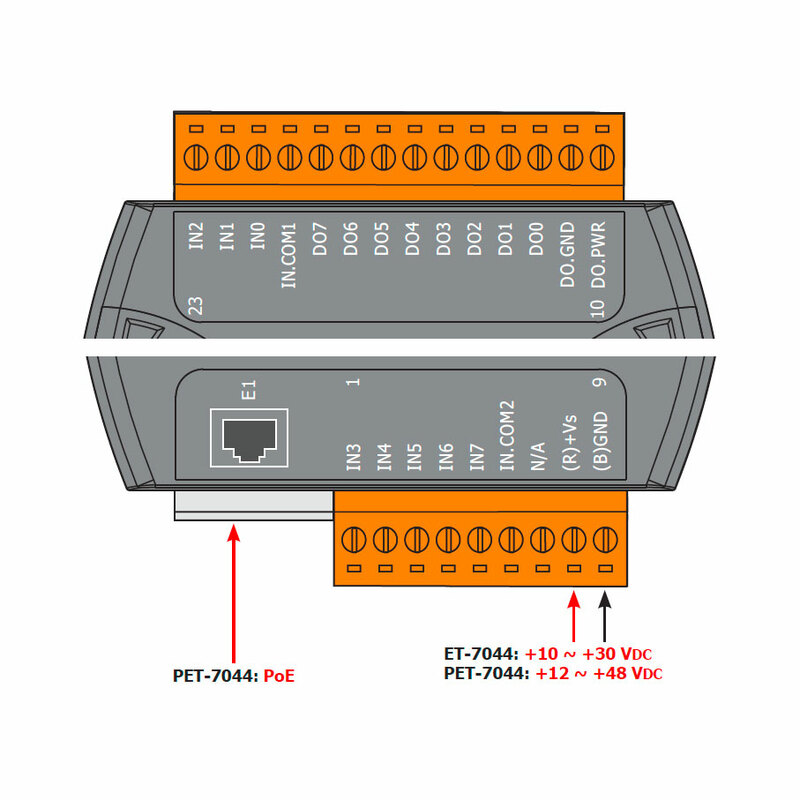 Each input can be used as a 32-bit counter and each output can drive 300 mA load. 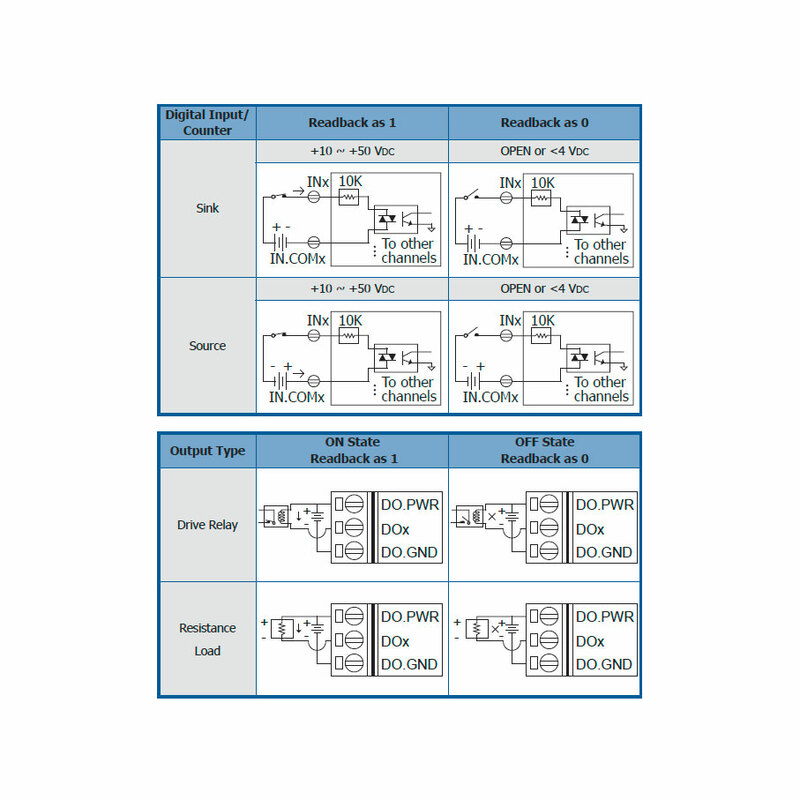 The power-on value and safe value of digital output are programmable. It can safely be used in applications where hazardous voltages are present.